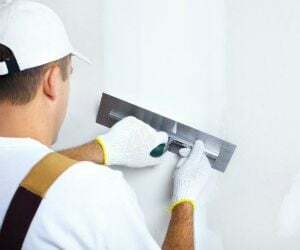 Plastering And Stucco Contractor Insurance Texas. If you are a TX plastering and/or stucco contractor, you have a difficult job on your hands. From repairing and priming surfaces that you are working on to ensuring that you are using the right materials, and most importantly, making sure that you are delivering the highest quality work, you invest so much in the work that you do. Plasterers install drywall, plaster, and wallboard to the interior walls and ceilings of residential and commercial buildings for decoration, insulation, waterproofing, soundproofing, or fireproofing the room or area. Exterior work may consist of applying stucco, cement or similar materials to decorate or finish the outside walls. On top of all of the demands of your job, there is another difficulty that you may have to contend with: the possibility of being sued. There are so many risks that are associated with plastering and stucco work, such as damaging the property you are working on or injuring someone in the middle of a project. Since someone taking legal action against you is a real possibility, it's important that you protect yourself. Purchasing a plastering and stucco contractor insurance Texas policy that is designed for plastering and stucco contractors is the best way to safeguard yourself and your business from financial loss. Plastering and stucco contractor insurance Texas protects your business from lawsuits with rates as low as $47/mo. Get a fast quote and your certificate of insurance now. Even though you are an expert in your trade, you have ample experience, and you use the highest quality tools and equipment, there is still a chance that something can go wrong. For example, what happens if the scaffolding you secure to a building isn't secured properly, or what if the stucco or plaster you installed doesn't properly adhere to a structure? In these types of situations, personal injury or property damage could occur. Accidents can happen - even to the most experienced contractors. In the event that an accident does unfold, you could end up being sued and held liable for any injuries or damages. Legal fees, the costs associated with medical bills and repairs to a property, as well as any other compensation that a judge might award the party that sues you could be astronomical. Imagine having to pay for such costs out of your own pocket? You could be looking at serious financial trouble, and there's even a chance that you would have to fold your business. Because of the risks that are associated with being a contractor, it's important to protect yourself and your business. The best way to do that is with the proper plastering and stucco contractor insurance Texas coverage. Poorly installed stucco can cause many issues for your customers - and issues associated with stucco go undetected for a while and get worse over time. Synthetic stucco is commonly referred to as Exterior Insulating and Finish System (EIFS) has itsown issues too. As moisture penetrates into the porous stucco, it can ruin the plywood on which the stucco was plastered, damaging walls and threating the integrity of your customer's building or the health of those living inside. Humidity in the building increases, which can cause illness or damage to belongings. Insect infestations, like termites, ants and other insects start to damage the walls. Mold, mildew, or fungi growth on the interior walls or on window frames. Black mold may start to form, which can cause black mold exposure and black mold poisoning which commonly cause: chronic coughing and sneezing, irritation to the eyes, mucus membranes of the nose and throat, rashes, chronic fatigue and persistent headaches. Cracking of the drywall and cracking, peeling, and bubbling of paint. Cracking on the EIFS dressing bands around windows. Loss of structural integrity - rotting wood from exposure over time causes the building to become unsafe, and impossible to sell. These are just a few of the potential exposures plaster and stucco installers face - all of which could lead to massive claims, legal fees and awards if you are found to be at fault. Premises Liability - If you operate your business out of an office or a warehouse and clients or vendors are welcomed on the property, you can be held liable for any injuries that might occur. For example, if a client trips over a misplaced tool in your warehouse and breaks a bone, you are responsible for covering the cost of any medical bills that are associated with the injury. General liability insurance will cover the medical costs, as well as any legal fees that may arise as a result of a lawsuit, and additional damages that could be awarded. Products Liability - If one of the products you offer your clients is defective, you could be held responsible. For example, if something happens with the plaster or stucco and damages a property, you could be held responsible. 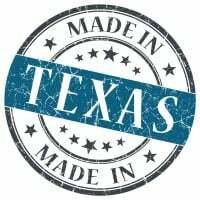 Plastering and stucco contractor insurance Texas will cover the costs that are associated with defective products, as well as any legal fees that could arise as a result of a faulty product. Completed Operations - After you plaster or stucco a client's property, there is a possibility that something could go wrong. For instance, stucco could crack, fall, and cause an injury. If the client sues you after you have completed your job, general liability insurance will provide coverage for legal fees, medical bills, and any other costs that may be associated with a lawsuit. How Much Does Plastering And Stucco Contractor Insurance Cost? The cost for this type of insurance policy varies. Commercial insurance providers take several factors into consideration when calculating costs, including the size of your business and the risks that are associated with operating your business. Additionally, the amount of coverage you will need, payroll and employee size can also affect the price. Premises liability exposures at the contractor's office are generally limited due to lack of public access. Off-site exposures include damage to the clients' other property by the contractor's employees, bodily injury to members of the household, the public or employees of other contractors. Tools, power cords, plastering materials and scrap all pose trip hazards even when not in use. If there is work at heights, falling tools or supplies may cause damage and injury if dropped from ladders and scaffolding. Contractors can damage customers' premises removing old ceiling and wall coverings. Completed operations liability exposures depend on the type of plastering being done. If the plastering is for waterproofing or fireproofing, faulty installation can result in significant property damage, and in the case of fireproofing, loss of life. A growing concern is the installation of exterior insulation and finish systems (EIFS). This refers to a synthetic stucco with insulating properties that has recently been blamed for causing moisture and termite problems affecting the structural integrity of a residence. It is not clear whether the manufacturer or the installer has the greater liability. Environmental impairment liability exposures arise from the removal, transport, and disposal of waste and old debris that has been removed from the job site. As some of these older materials may include lead-based paints or asbestos, proper disposal procedures must be in place. Transportation and disposal procedures must adhere to all EPA and other regulatory standards. Training and supervision of employees is critical. Workers compensation exposure varies based on the size and nature of the job. When work is done on ladders and scaffolds, there is a potential for severe injury or death from falling or being struck by falling objects, or from severe weather during exterior operations. Drywall installation may involve the use of low stilts in the mudding and taping phases. Back injuries, hernias, sprains and strains can result from lifting or plastering in awkward positions. Repetitive motion injuries may occur. Drywall and wallboard need to be cut to size, which can result in cuts and piercings. Dust cutting, trimming, and mixing operations can irritate eyes and lungs. Property exposures are usually limited to an office and storage for supplies, tools and vehicles. Most supplies are not flammable or combustible, nor are they normally considered target theft items. Crime exposures are from employee dishonesty. Background checks, including criminal history, should be performed on all employees providing services to customers or handling money. All ordering, billing and disbursement should be handled as separate duties with reconciliations occurring regularly. Inland marine exposures include accounts receivable if the plasterer offers credit to customers, contractors' equipment and tools, goods in transit, installation floater, and valuable papers and records for customers' and suppliers' information. Equipment may be limited to trowels, spray guns, and other hand tools, or there may be ladders, scaffolding, and similar equipment. The contractor may rent, lease or borrow equipment for unusual jobs or own special equipment that is leased, rented or loaned to others when not in use. The materials awaiting installation are subject to loss or damage by moisture, by employees of other contractors, vandalism, and theft. Commercial auto exposures include the transportation of workers, equipment, and materials to and from job sites. MVRs must be run on a regular basis. Random drug and alcohol testing should be conducted. Vehicles must be well maintained with records kept in a central location. Commercial general liability insurance is a must-have for plastering and stucco contractors. Speak to a reputable insurance broker to learn more about coverage options and costs. Request a free Plastering And Stucco Contractor Insurance Texas quote in Abilene, Allen, Alvin, Amarillo, Arlington, Austin, Balch Springs, Baytown, Beaumont, Bedford, Benbrook, Big Spring, Brownsville, Bryan, Burleson, Carrollton, Cedar Hill, Cedar Park, Cleburne, College Station, Colleyville, Conroe, Coppell, Copperas Cove, Corpus Christi, Corsicana, Dallas, DeSoto, Deer Park, Del Rio, Denison, Denton, Duncanville, Eagle Pass, Edinburg, El Paso, Euless, Farmers Branch, Flower Mound town, Fort Worth, Friendswood, Frisco, Galveston, Garland, Georgetown, Grand Prairie, Grapevine, Greenville, Haltom City, Harker Heights, Harlingen, Houston, Huntsville, Hurst, Irving, Keller, Kerrville, Killeen, Kingsville, Kyle, La Porte, Lake Jackson, Lancaster, Laredo, League City, Leander, Lewisville, Little Elm, Longview, Lubbock, Lufkin, Mansfield, Marshall, McAllen, McKinney, Mesquite, Midland, Mission, Missouri City, Nacogdoches, New Braunfels, North Richland Hills, Odessa, Paris, Pasadena, Pearland, Pflugerville, Pharr, Plainview, Plano, Port Arthur, Richardson, Rockwall, Rosenberg, Round Rock, Rowlett, Sachse, San Angelo, San Antonio, San Benito, San Juan, San Marcos, Schertz, Seguin, Sherman, Socorro, Southlake, Sugar Land, Temple, Texarkana, Texas City, The Colony, Tyler, University Park, Victoria, Waco, Watauga, Waxahachie, Weatherford, Weslaco, Wichita Falls, Wylie and all other cities in TX - The Lone Star State.